It’s Fashion Week in New York City. Twice a year in the major fashion capitals of the world (New York, Paris, London and Milan) designers preview the release of their new designs. Trends are set (or fail), reputations are made (or lost), and millions of dollars are spent. In the autumn, designs for the coming spring and summer are revealed; in the spring, autumn and winter designs are released. In effect, fashion week is about predicting the future – it’s about trying to foresee what people will be wearing six months from now. Obviously, Fashion Week is also an important time for fashion photographers. It seems fitting, then, to look at the unpredictable career of a fashion photographer whose future couldn’t possibly have been foreseen – a photographer who made her bones in the 1950s, who became one of the leading lights in fashion photography, who abandoned the business and disappeared from view for half a century, and who has in recent years been resurrected as a fashion icon. 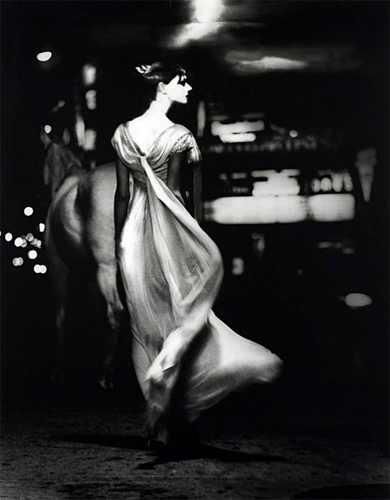 I’m talking, of course, about Lillian Bassman. Like so many of the photographers we’ve examined in these salons, Bassman didn’t originally intend to become a photographer – it just sort of happened. When she found her way to photography, it wasn’t so much a career move as it was an organic evolution of expression. Her mother worked as a waitress in a vegetarian boarding house on Coney Island. When Bassman was six years old, she accompanied her family on an outing to Coney Island where she was introduced to Paul Himmel, the nine year old son of her mother’s employer. They became friends and that friendship developed into something more. When she was 15 years old Bassman convinced her parents to let her move in with him. They married ten years later – and remained married for the rest of their lives. Himmel died in 2009; they’d been married for 73 years. It was Himmel who was initially interested in photography (he would eventually become good enough for his work to be included in Edward Steichen’s famous Family of Man exhibit at New York’s Museum of Modern Art). Bassman wanted to be a dancer, but an injury to her heel crushed that hope. Instead, she attended a vocational high school and studied textile design. She found part-time work as a model for artists employed by the Works Project Administration – the Depression-era government program designed to provide jobs carrying out public works projects. Modeling, she said, was “the easiest way to get my 50 cents an hour, which was a lot of money at that time.” That eventually led her to a job as an assistant painter creating murals for the WPA. During the early lean years of their relationship Bassman and Himmel relied on free admission to local museums for entertainment. They could spend hours wandering the halls, studying the paintings of old masters. That time served Bassman well, though its importance wouldn’t reveal itself for years. Bassman continued her education by taking night courses in fashion illustration. She got an interview with Alexey Brodovitch, the Art Director at Harper’s Bazaar and the creator of the exclusive Design Laboratory at New York’s New School for Social Research. Brodovitch, a Russian émigré like Bassman’s parents, was impressed enough by her work that he waived her tuition and accepted Bassman as a student in the Design Lab. It was Brodovitch’s practice at Harper’s to have a few talented young women in the office to act as his unpaid assistants. He offered one of those positions to Bassman, who accepted – but she soon balked at the lack of pay. She looked elsewhere for employment and was offered a position as an assistant art director at Elizabeth Arden, a cosmetics manufacturer. At that point Brodovitch relented. In 1941 Bassman became Brodovitch’s first paid female assistant. Four years later, Harper’s launched a magazine called Junior Bazaar, targeting teenaged girls – Lillian Bassman was named its art director. And that changed everything. Even while at Harper’s Bassman had begun visiting the magazine’s darkroom on her lunch hour to see how photographer George Hoyningen-Huene used tissue and gauze to manipulate the printed photograph. “I was interested in developing a method of printing on my own,” she told B&W magazine in 1994. “I wanted everything soft edges and cropped.” At that point in her career she was more interested in the darkroom than in photography, more interested in the printed image than in making the negative. Bassman gave Junior Bazaar a look that matched her aesthetic. Lingerie work led to fashion work, and Bassman developed a reputation among art directors for creating elegant, serene, romantic images. The women in her photographs always appeared to be doing something; they weren’t simply standing around showing off their clothes. She preferred to shoot her models outside, using natural light – and though the shots were clearly posed, they had an organic, active feel to them while still emphasizing the classic ideal of feminine grace and refinement. That style, according to Bassman, grew out of the time she and her husband spent in museums as young lovers. “Elegance goes back to the earliest paintings,” she said. “Long necks. The thrust of the head in a certain position. The way the fingers work, fabrics work.” Bassman’s style was also influenced by her early love of dance, and she encouraged her models to move with a fluid sort of feminine poise that, as she said, “usually passes unnoticed in everyday life.” Bassman used a light hand when directing her models, but she was very clearly directing them and expected them to follow her lead. And so, in 1969, she quit. Abruptly and totally. She destroyed almost all of her commercial negatives; her more artful editorial negatives were stuffed in a couple of trash bags and jammed in a basement storage closet. She forgot about the negatives; the fashion world forgot about her, and Bassman turned her artistic talents to other venues. She only photographed the things she wanted to photograph; she did a series on cracks in sidewalks, she photographed distorted images of fruit and vegetables, she rephotographed pictures of male bodybuilders reflected in mylar sheets. Her husband Paul, who’d also grown cynical about commercial photography, supported them by becoming a psychiatric social worker. Likely they would have happily lived out their lives that way. But in the early 1990s, Martin Harrison, an art curator and historian from London, was visiting Bassman and her husband – and he found the trashbags of negatives. He encouraged her to revisit the photos. She was initially reluctant – then “I got a little intrigued, and I took them into the darkroom, and I started to do my own thing on them.” She applied some of the darkroom techniques she’d first learned in the 1940s. Harrison arranged a show of her work, and suddenly Bassman was back at the center of the fashion world. 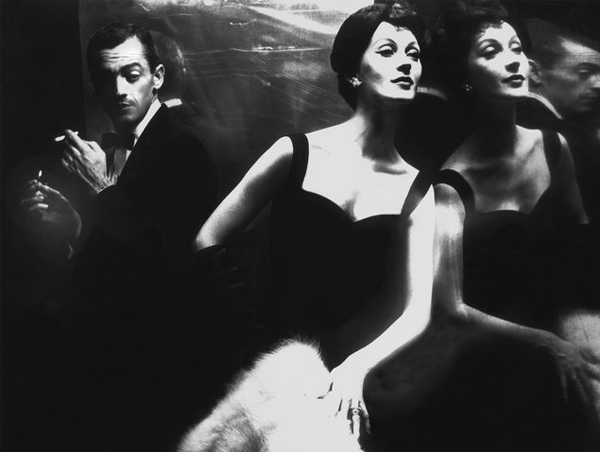 She was hired by Neiman Marcus to shoot an advertising campaign, the New York Times Magazine hired her to shoot the couture collections in Paris, and at the age of 80 Lillian Bassman became the hot new thing. She quickly embraced digital photography when it became practical, and when she was 87 years old she learned to use Photoshop. 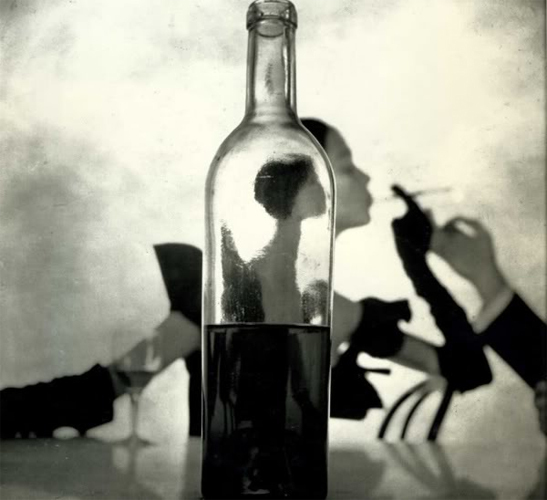 Lillian Bassman continued to work occasionally as a photographer and Photoshop artist until February 13th of this year, when she died. She was 94 years old. In the late 1940s, not long after she’d left Junior Bazaar and became an independent photographer, Bassman was hired by her old employer, Harper’s, to go to Paris and shoot the fall couture collection – just as Richard Avedon had done when he allowed her to use his darkroom. When Carmel Snow, the ferocious editor at Harper’s saw the first prints of Bassman’s photographs – images of a model at twilight on a hotel balcony, wrapped in chiffon and moonlight – she said “I didn’t bring you to Paris to make art; I brought you here to do the buttons and bows.” So she gave them buttons and bows. But a few years later, even the notoriously hard-to-please Mrs. Snow would acknowledge that Lillian Bassman could take the most awkward design and find a way to make it look elegant. 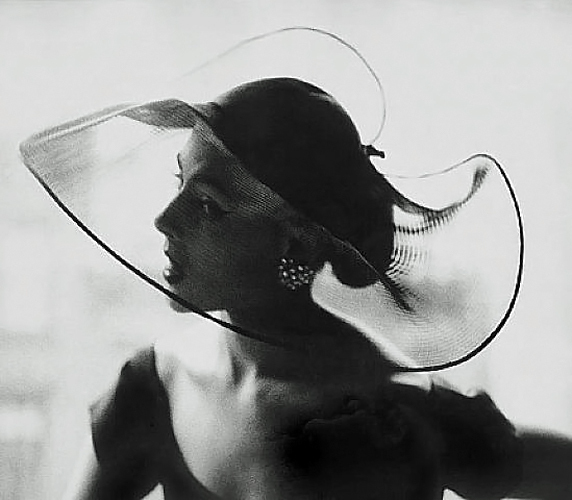 If there’s a metaphor for the life of Lillian Bassman, I think we can find it there. She found a way of moving through life, a way of shifting the shoulder that allowed her to reveal the elegance and grace she experienced in the world around her.